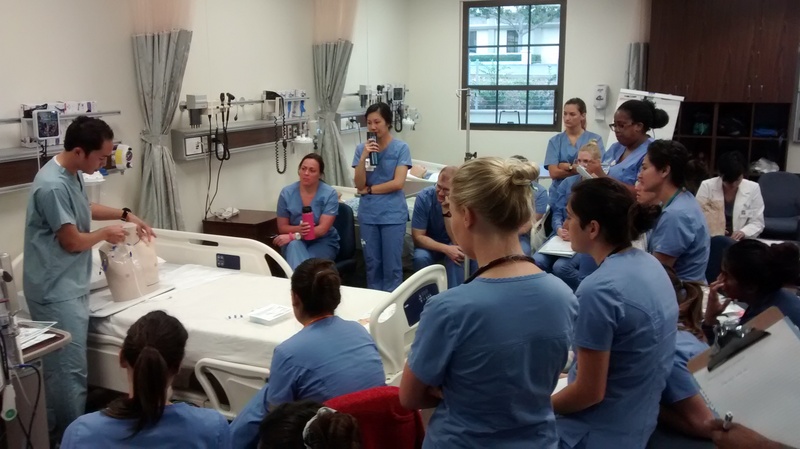 Clinical Faculty: Derrick Duarte, MSN, RN teaching central line dressing care. 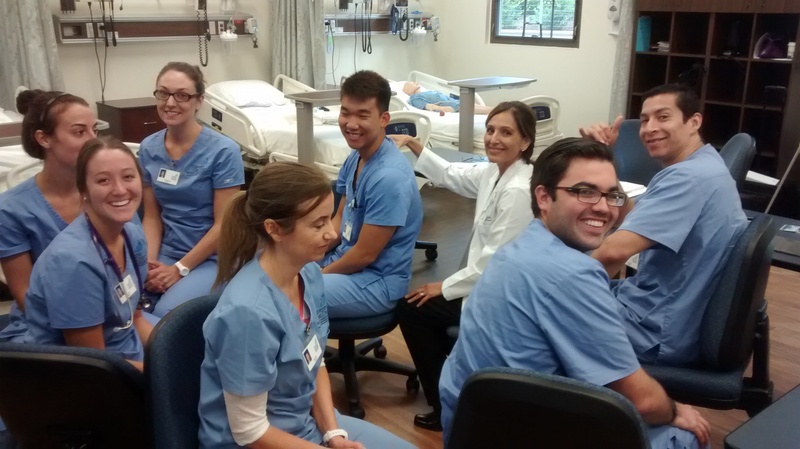 Wow, what a week we had in the Standardized Patient and Simulation Center! First year MEPN students had Clinical Competency Examinations (CCE) last week. This examination occurs each semester and is a part of the MEPN curriculum in which students provide a head-to-toe physical exam for one or two standardized patients as well as coordinate the care for these patients. Students are given a past history on the patient but need to successfully obtain the present history, provide an exam, and administer medications. There wasn’t a whole lot of down time for MEPN students after the exam, because they moved right into learning about central line dressing changes as well as caring for the patient with a central line. Whew! This is what they mean by an accelerated program!